Perhaps you are a resident who lives North of the Brooklyn-Queens Expressway, or you live by Atlantic Avenue. Regardless, if you are looking to give the outside of your property a much-needed update, then consider using James Hardie products. Due to its proximity to the Atlantic Terminal and rich cultural history, Fort Greene has been a popular place of residence within Brooklyn. Apartment owners, homeowners, property owners and landlords have been seeking ways to increase property value and get a long term investment. 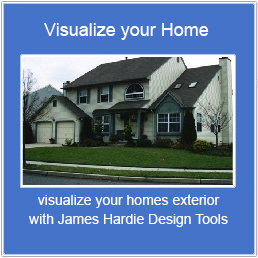 A simple way to do this is my investing in James Hardie exterior siding. There are several advantages of updating your exterior decor with James Hardie products. James Hardie engineers build their products to withstand fluctuations in climate and their ColorPlus Technology is designed to withstand UV rays and other harsh weather conditions such as hurricanes and blizzards, things that occasionally occur while living in Brooklyn. Other benefits of James Hardie siding include that it’s pest free and fire resistant! With over 20 years of experience, we have installed more James Hardie siding products than any other company on Long Island, and we are rapidly increasing the amount of installation in Kings County! Give Good Guys Contracting a call and we will schedule a meeting at your place of residence in Fort Greene. Once we discuss the scope of your project, we will give you a FREE estimate to help you get started on your home remodeling project!